I guess it's summer now for real. 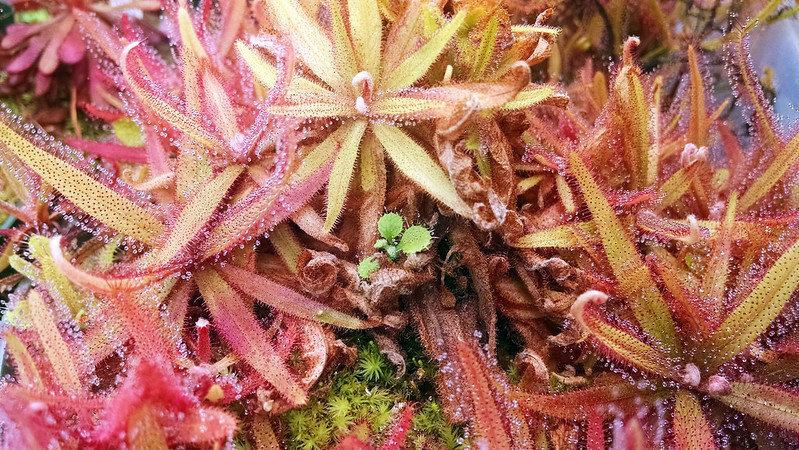 I can tell because Drosera cistiflora is finally giving up the ghost. Now comes the real challenge – I've gotta get it to sleep, then keep it alive during dormancy, and then I need to wake it up in fall. Fingers crossed! Right nearby there's some funny leaves in the Drosera adelae pot. 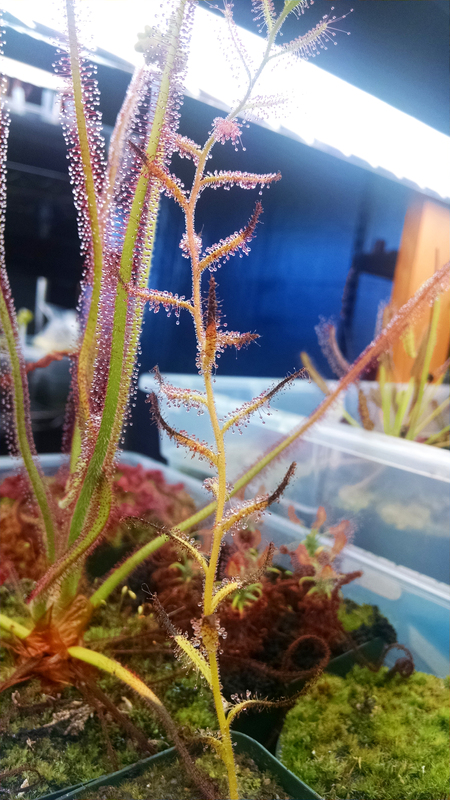 You can clearly see the affinity with Drosera schizandra here. This big old colony is hilarious. 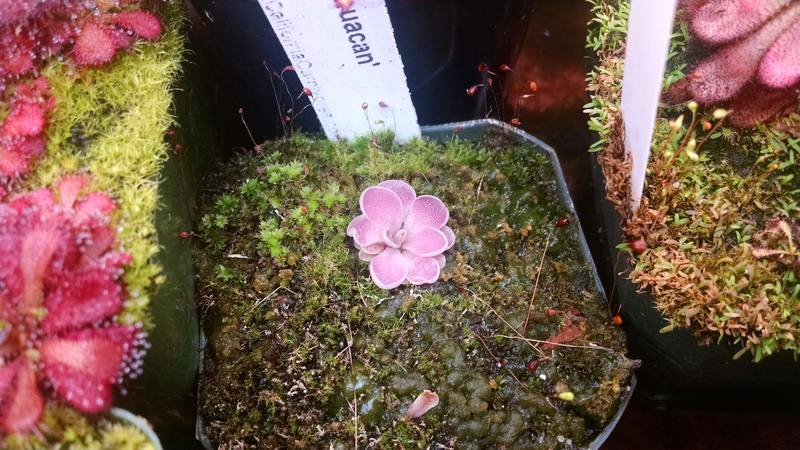 In terms of summer, my Pinguicula sp. 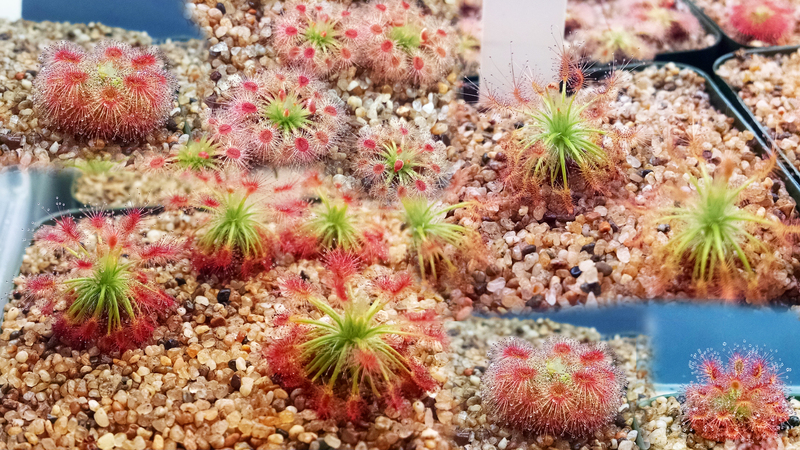 Tehuacán is leafing out into carnivorous growth, and dang this is a cute ping. Looks like that pulling I took didn't take. Oh well. It's got great color and nice neat leaf margins. Upturned leaf margins are one of my favorite characteristics on pings. Finally, I made a very silly image to offer in lieu of fireworks for the Fourth.